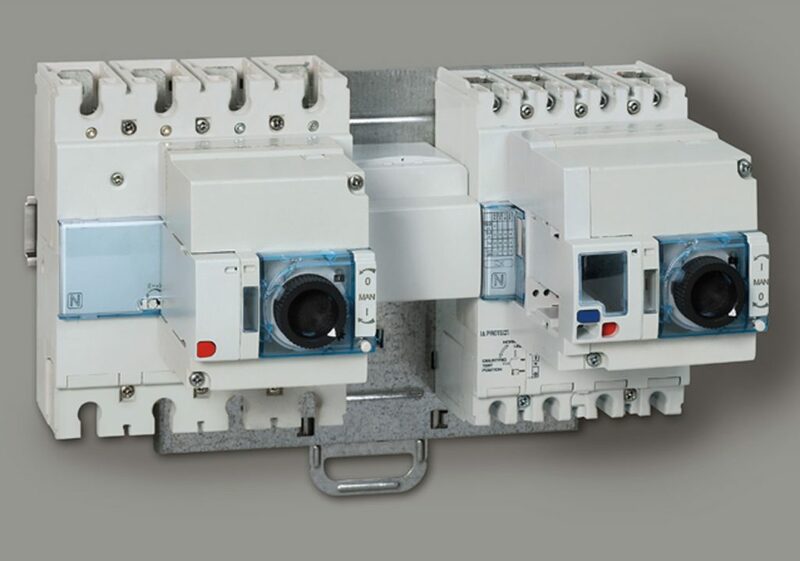 Opposed to manual transfer switches which need to be turned on by the user in order to reroute power, automatic transfer switches get activated immediately when the primary source of power gets drained. They can be a lifesaver in special circumstances, like for example when the utility power line goes out due to heavy storms or natural catastrophes. This makes automatic transfer switches an essential component in the power systems of hospitals and other facilities which cannot risk going out of power. However, automatic transfer switches find plenty of uses around average households as well. For instance, they can be especially convenient when a home is powered by dual off-grid solar power sources. This way, if the primary source somehow fails, the transfer switch will immediately detect the drop of voltage and automatically command the other source to start. Similarly, when the back up solar power source has generated more power than the primary, the automatic switch will observe the change and shift the load to the secondary source. An ATS device is especially useful in homes experiencing frequent mains supply outages. By installing an ATS together with a backup generator, the generator will start producing power the moment an electric utility problem occurs. And when the electrical flow returns, you don’t even have to turn off the generator manually because the ATS wills switch back to the mains supply. This will help protect the generator from any overload. An ATS is guaranteed to ensure a continuity of power, however it may work differently in different situations. When generators are used as backup power, there might be some interruption before the backup power source gets activated. But there are ways that the ATS can ensure the power interruption is very brief. For instance, batteries can be used to fill the power gap until the generator has produced a working amount of electricity. And some extremely sensitive ATS devices can detect the tiny drops in voltage preceding a blackout, and start the generator even before the mains power completely fails. Finally, automatic transfer switches are safer for households than manual ones. This is because when using a manual transfer switch, you yourself have to assess when is the right time to switch the power back to the primary source. But when the mains power returns, there can be a dramatic spike in voltage, and if you turn it on before it has decreased you can overload the circuit which can cause an accident. Luckily, automatic transfer switches are smarter than you, and will wait for the main power source to cool down before they switch back to it, thus preventing dangerous overloads. For those who want a non-stop flow of electricity, having an automatic switch is the safest and most effective way to turn on a back up power source when the need arises. And it doesn’t even have to apply for generators. ATS can also be installed for regulating the operation of two solar power sources, thus ensuring they will work as efficiently as possible.